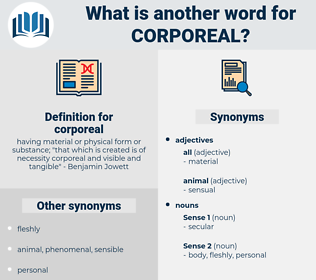 What is another word for corporeal? cerebral, immaterial, spiritual, mental, intangible. invisible, ethereal, unreal, metaphysical, moral, bodiless, unsubstantial, psychic, Hyperphysical. 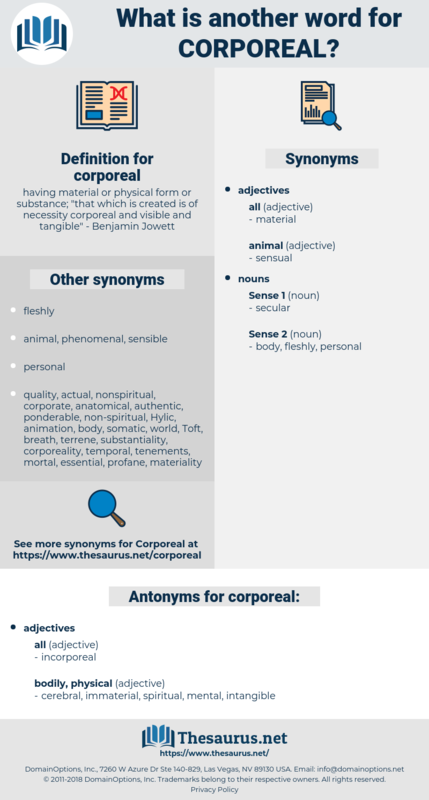 These are not corporeal, as the others, but strictly mental faculties; and are, therefore, more noble and excellent. The gross city had put aside corporeal things, and for once its spirit shone fair and radiant; so that men said no such thing had ever been before.